While Latin is officially an "ancient" language, it's useful in so many areas of modern life, including bird watching. Birdwatchers need a universal language when they're speaking about birds, since common names vary by region. 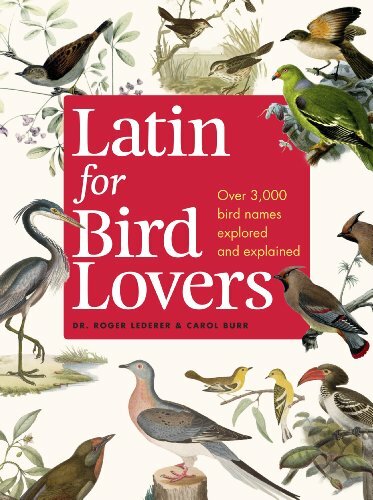 Latin for Bird Lovers answers this call, introducing more than 3,000 words to describe birds. Packed with tips on using Latin to identify birds by color, size, and behavior, this gorgeously illustrated, informative guide is perfect for birdwatchers, nature lovers, and both experts and beginners in ornithology and etymology.